1. When Mayor Libby Schaaf talks to NFL owners in New York City this week, she won’t be presenting a stadium plan for the Oakland Raiders, the Chron$ reports. Instead, Schaaf will talk up the city of Oakland and it’s economic resurgence, while reiterating the fact that Oakland will not spend public dollars on a new facility for the team and that it will have to be privately financed. The Raiders are about $400 million short of what the team needs to build a new facility at the Coliseum, and team owner Mark Davis wants the city and county to kick in taxpayer dollars. 2. 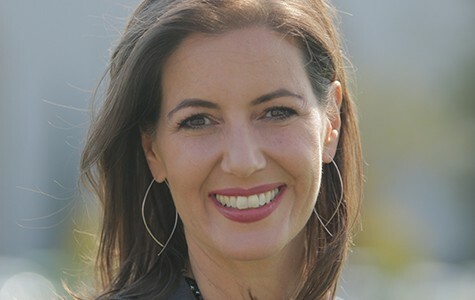 Schaaf’s position on the Raiders matches that of city residents, according to a new poll commissioned by the Oakland Chamber of Commerce, the Chron reports. The poll showed that Oaklanders ranked keeping the Raiders in last place among sixteen priorities — far behind improving schools, cleaning up parks, and reducing crime. The same poll showed that the mayor enjoys a 68-percent approval rating. 3. UC Berkeley grad students said they have no confidence in Cal’s faculty disciplinary process in the wake of the sexual harassment scandal involving noted astronomer Geoff Marcy, BuzzFeed News reports (h/t Berkeleyside). The grad students are upset that the university essentially gave Marcy a slap on the wrist despite the fact that a campus investigation found that he repeatedly violated the school’s sexual harassment policies. Marcy later resigned amid the uproar. 4. The Bay Area will need a strong regional government if it’s going to remain an economic engine and continue to grow, the Bay Area News Group$ reports, citing a new study from the Bay Area Council Economic Institute. The institute said the region needs to overcome anti-growth forces that control some cities in order to build lots more housing and improve transportation infrastructure. 7. And the mystery light that flashed across the California sky on Saturday night was an unarmed test missile launched from a US Navy submarine, the Chron reports.